Mr. Brad Aldrich, P.E., F.NSPE, F.ASCE, is President of Aldrich + Elliott, PC (A+E), located in Essex Junction, Vermont. Founded in 1995, A+E is an innovative leader in water, wastewater and stormwater engineering for municipalities in Vermont and northern New England. Mr. Aldrich is a 1981 graduate of the University of Vermont with a Bachelor of Science degree in Civil Engineering, and holds licenses in VT, NH, ME and MA. Mr. Aldrich is an active member of both the National Society of Professional Engineers and the American Society of Civil Engineers. 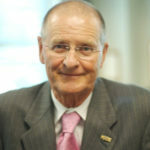 Mr. Aldrich served as President of the National Society of Professional Engineers in 2008-2009. 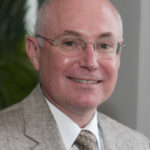 Mr. Aldrich currently serves as President of the National Engineers Week Board of Trustees, as a Director of the MATHCOUNTS Foundation and the Board of Governors for the Order of the Engineer Society. Mr. Aldrich was recently appointed to the Board of Licensure for Professional Engineers in Vermont. Mr. Aldrich is a fellow of the National Society of Professional Engineers as well as the American Society of Civil Engineers. Mr. Aldrich also belongs to the University of Vermont link of the Order of the Engineer, Tau Beta Pi and Chi Epsilon.